Bringing its pioneering fusion of rock, jazz and classical genres, celebrate the 50th Anniversary of Lighthouse and hear classic tunes including “One Fine Morning”, “Sunny Days” and “Pretty Lady”. Trailblazers since the early 70s, Lighthouse headlined the Newport, Monterey and Boston Globe jazz festivals. Lighthouse was the only act invited to perform a second night at the legendary 1970 Isle of Wight Festival among groups that included The Who, Miles Davis, Joni Mitchell, Chicago and The Doors. 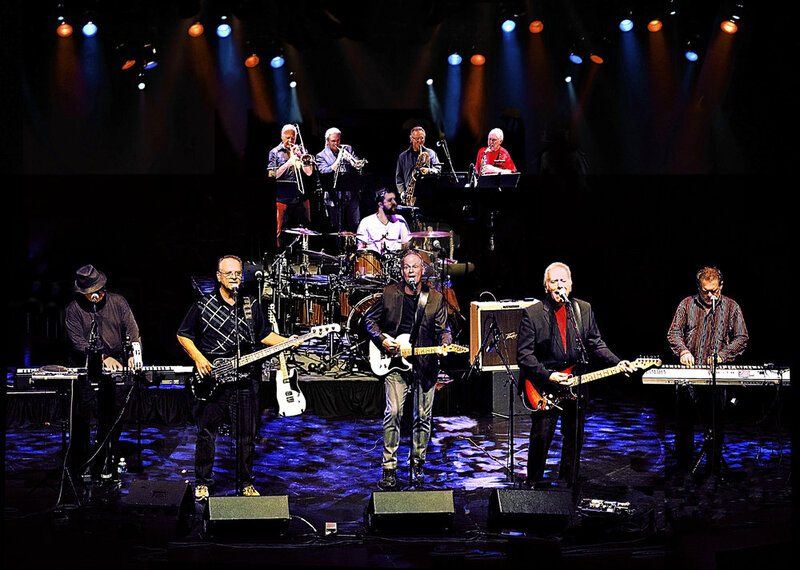 Featuring original founders Paul Hoffert and Ralph Cole with an all-star line-up that includes original members Russ Little and Steve Kennedy with Chris Howells, Simon Wallis, Doug Moore, Don Paulton, Jamie Prokop and dynamic lead vocalist Dan Clancy.